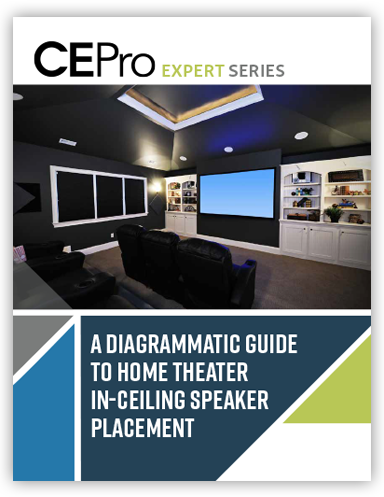 Every experienced designer and installer knows exactly where to place in-ceiling speakers to achieve the best possible sound. But sometimes the ideal positions are compromised based on room configurations, ceiling heights, stud locations, HVAC ducts or other challenges. How far apart should in-ceiling speakers be placed in a distributed autio setup based on different ceiling heights? How far away from a wall-mounted flat planel should a center channel in-ceiling speaker be placed? How far should the spread be for an LCR configuration in a ceiling? How far apart should rear surrounds be placed ina 7.1 configuration? Answers to these questions and more can be found in this FREE guide. Download your copy today.